* Videotaped Session. 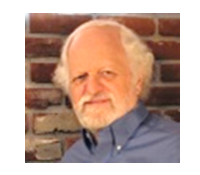 Jim Cole, Ph.D. is an EMDR therapist in private practice in Washington state and served on the EMDRIA Board of Directors from 2011-2014. The client is a 58-year-old woman who was physically abused by her father, a highly respected minister. Other trauma includes sexual abuse by father, grandfather, uncle and several rapes as an adult. Addictions include alcohol and eating. The first 17 minutes of the videotaped session occurred 2½ months after onset of therapy and the second 6-minute video segment was a follow-up session that occurred three months later. ** Study Group. Eligible participants are partially and fully trained EMDR therapists. The group discusses cases (with no PHI) regarding the use of EMDR therapy. Participants obtain feedback from each other to improve their clinical skills and demonstrate fidelity to approved EMDR therapy protocols. This Study Group is not consultation cannot be used to document consultation hours towards EMDRIA certification.